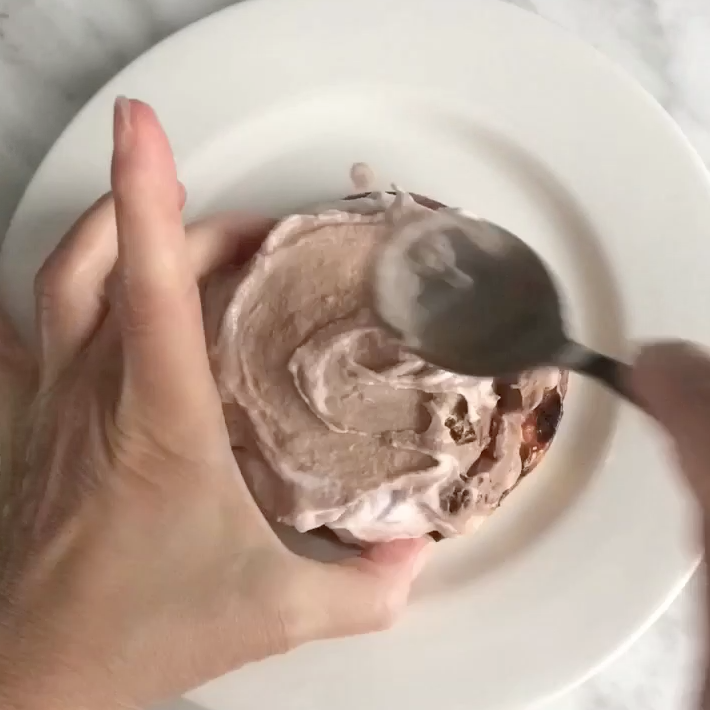 This little hack is super-simple and the video says it all really. 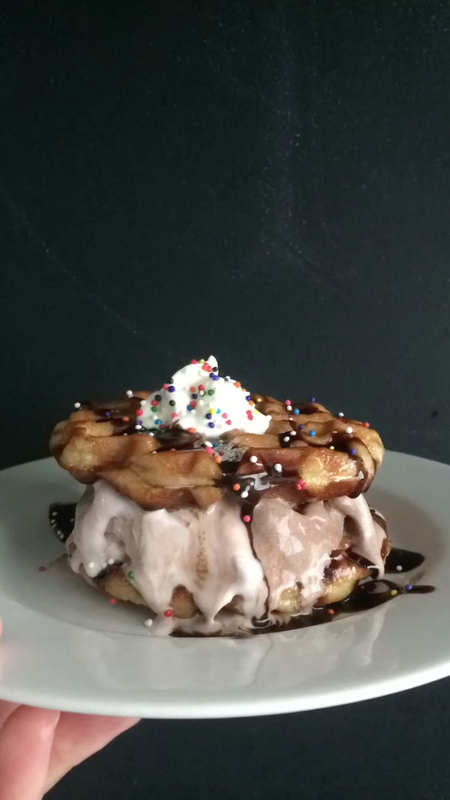 Just waffle two honey-glazed donuts (one at a time) and then fill with ice cream for a fun summer holiday treat! 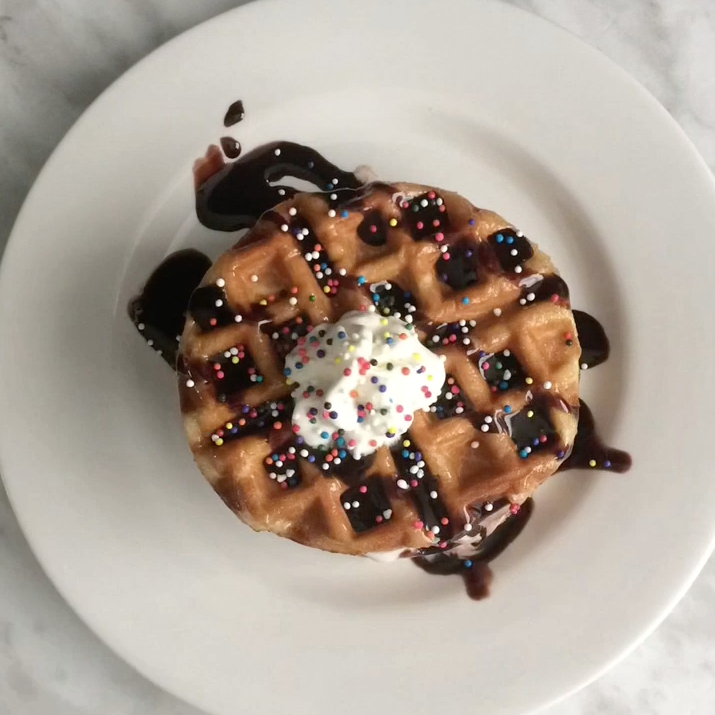 Don't forget to drizzle with a little chocolate ganache (recipe below), a dollop of whip cream and tons of sprinkles to make it a little extra special! Pre-heat the waffle iron. 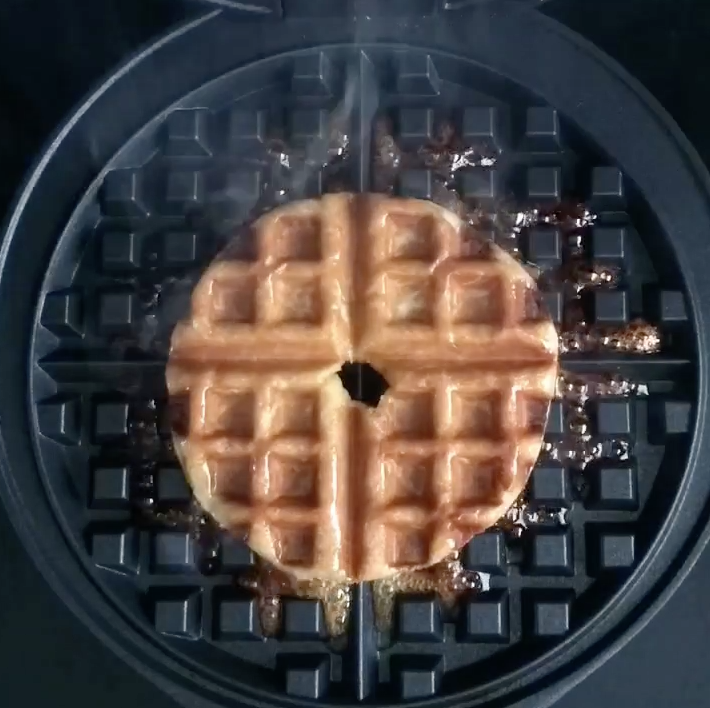 When ready, simply place the donut onto the centre of the waffle iron, close the waffle iron lid and press firmly to basically squish and indent the donut. Hold down, until waffle iron light says it ready. Repeat. 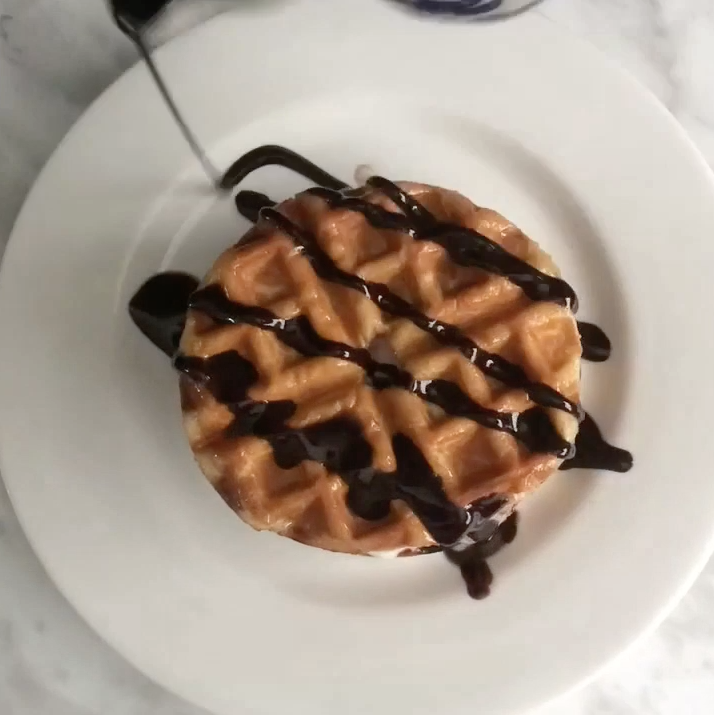 (Note: the honey glaze will carmelize a bit in the waffle iron and make a bit of a mess. Just clean as promptly as you can afterward to avoid a more difficult cleaning process). Heat the cream on the stove top until you see the cream coming to a simmer. Remove off burner. Add the chocolate and cover with a lid. Wait five minutes. Then with a whisk, start whisking from the center until well mixed. It will turn into a velvety ganache. Leave for ten minutes before using. 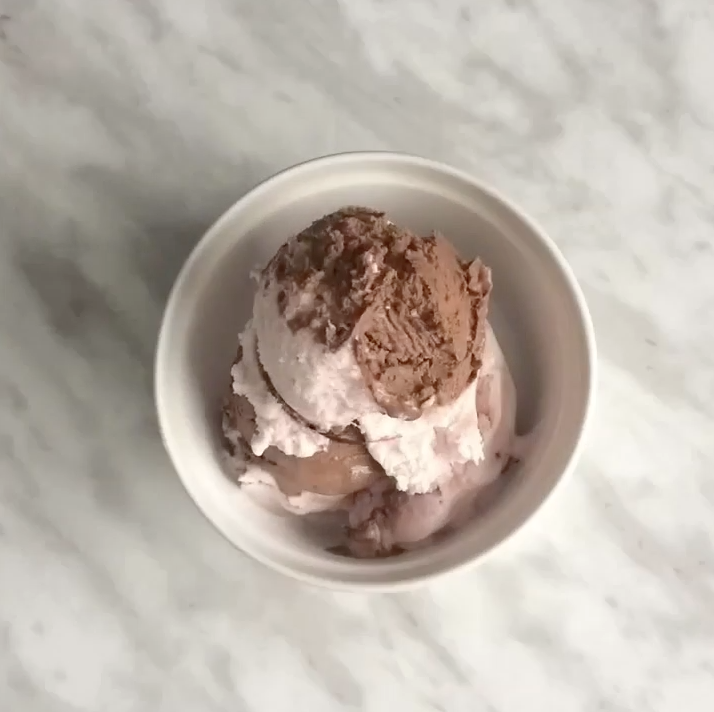 Note: The longer you leave the ganache sit, the thicker it will get, so time is of the essence. Also if you stir it too much, it will loose it's sheen. 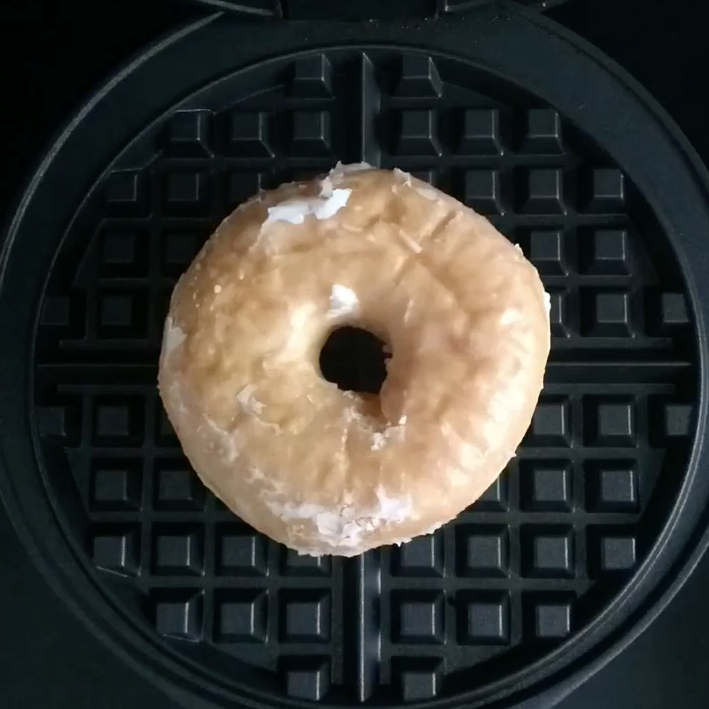 Place one of the donut waffles on the bottom. 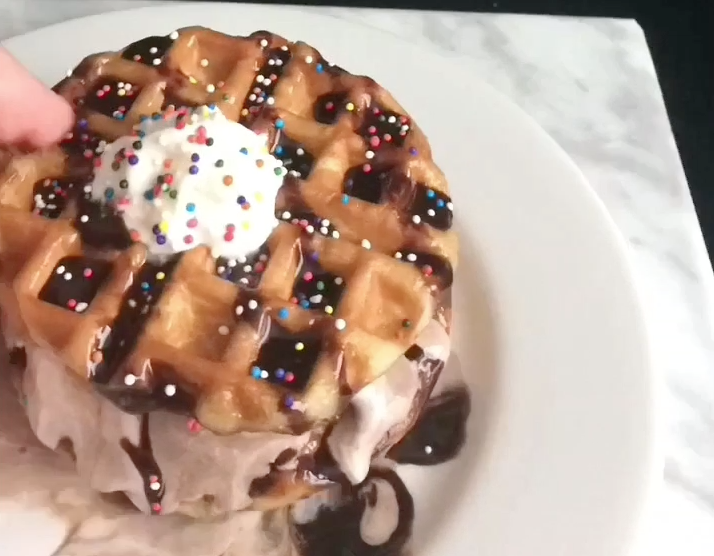 Top with 2 scoops of ice cream, and then add the other donut waffle. 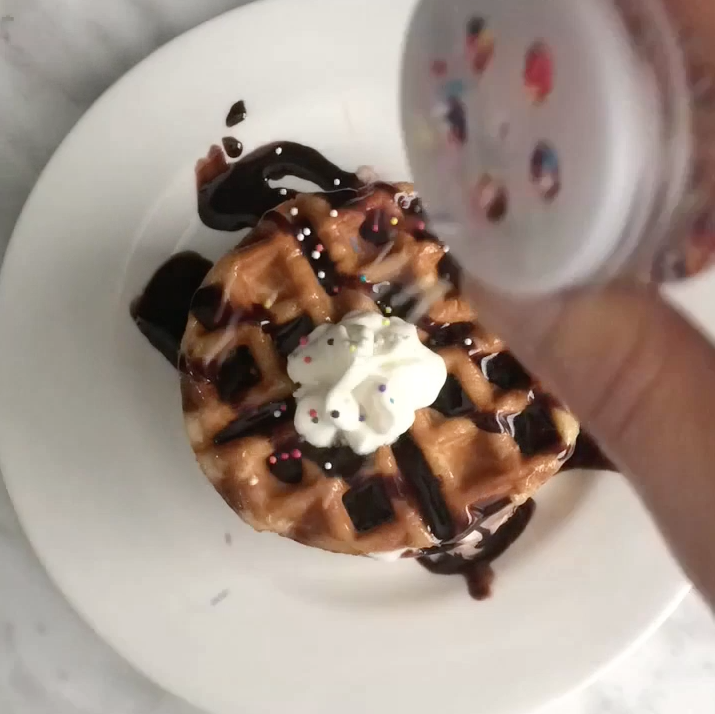 Drizzle with chocolate ganache (or syrup), add a dollop of whip cream and sprinkles! Yay!